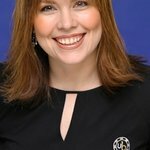 Poker legend Annie Duke and Life Rolls On founder, Jesse Billauer, are set to host the 1st Annual “A Night of Poker” on May 7 in Gardena California to benefit Billauer’s Life Rolls On Foundation. 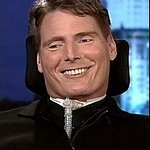 Life Rolls On, a subsidiary of the Christopher & Dana Reeve Foundation, was founded in 1996 by Jesse Billauer. On the verge of becoming a professional surfer, Billauer suffered a spinal cord injury while surfing and was rendered a quadriplegic, Jesse’s spirit was not broken, and the phrase “Life Rolls On” was born. Today, LRO remains dedicated to improving the quality of life for young people affected by spinal cord injury and utilizes action sports as a platform to inspire infinite possibilities despite paralysis. Its list of celebrity supporters include: Alexi Lalas, Amy Smart, Ben Harper, Brody Jenner, Chris Martin, Cuba Gooding Jr., Dave Matthews, David Schwimmer, Diane Sawyer, Dominic Purcell, Goldie Hawn, Good Charlotte, Jack Johnson, Jason Mraz, Jenna Fischer, Kelly Slater, Kim Kardashian, Maroon 5, Minnie Driver, Molly Sims, Paris Hilton, Rob Machado, Ziggy Marley, and many, many more. In 2010, LRO merged with the Christopher & Dana Reeve Foundation, becoming the west coast headquarters for the combined organization. For more info, please visit Liferollson.org or join them on Facebook.